At Bentley Wildfowl & Motor Museum in East Sussex, a committed congregation are milling outside the oblong tent that is Brainchild festival's Kite Bar. Steam Down – a jazz jam that runs weekly in southeast London, has come to take over Saturday night at the festival. The evening breeze barely breaks the relentless heat of the weekend and, in typical Brainchild fashion, bubbling excitement doesn't mean impatient shuffling to the front or last-minute dashes to the bar; it means reclining on the nearest sofa until moving is absolutely necessary. Composer, producer, band leader and saxophonist Ahnansé is the pastor of this church. He breaks the silence with a cheeky beatbox into the mic and within minutes the congregation is alive, moving and shaking: Steam Down in full steam. After just ten months of playing together, the musicians on stage are at ease finding their rhythm. Ahnansé conducts with the same serene composure and confidence as the orange-pink sun which peeks into the tent alongside him. Opening with a track by Touching Bass DJ and vocalist Alex Rita, the jam is off to a smooth and soulful start. And Is Phi improvises backing vocals, the brass ramps up, the keyboard sings and the crowd go straight from warming up to full sweat. Blink once and the crowd doubles, blink twice and there are fourteen-plus musicians on stage making madness. They perform some rehearsed tracks, but improvisation is at the heart of Steam Down. The sporadic but perfectly timed explosions of sound embody and invite a liberating spontaneity which pulsates through the room. Somewhere mid-way, the band find themselves in a jazz rendition of Skepta's ‘Shutdown’ and the crowd, encouraged by Ahnansé, chant the chorus of the grime classic. It feels rarer perhaps than it should that these musicians can come together and find such ease in unlikely fusion. As the crowd responds to calls, at times inventing their own vocal harmony, you can't help but feel that everyone in the room is making this music. Whether through sound or movement, the collectivity extends beyond the ensemble with instruments in hand. Like a series of dominoes, the community founded in a handful of musicians and friends extends and travels with its own energy. The language shared between the musicians in the midst of improvisation becomes more and more fluid, and the sense of siblinghood among the musicians is palpable. The audience twist and dance in new and familiar ways, with undertones and hidden rhythms reminiscent of childhood CD-singles or the music our parents played. As the curfew and the sound engineer crush our dreams of “one more song!”, despite two minutes of dedicated chanting, Ahnansé signals outside of the tent. He’s the pied piper and we follow him outside and he plays, clinging to the last puffs of breath that he has left to offer. Ben on drums is quick to follow, grabbing one drum and two sticks. Cowbells, a wood block and mallet follow and a circle forms. The crowd sing, twist and shout, doing everything in their power to make sure the feeling doesn't end a moment before it has to. 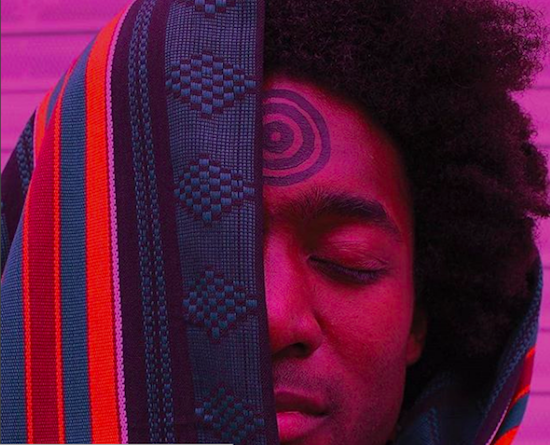 It is clear that Ahnansé has created a transformational space, one which heals and provides home for a generation of young black Londoners, breathing in the patchwork of their musical history and breathing out love and life.